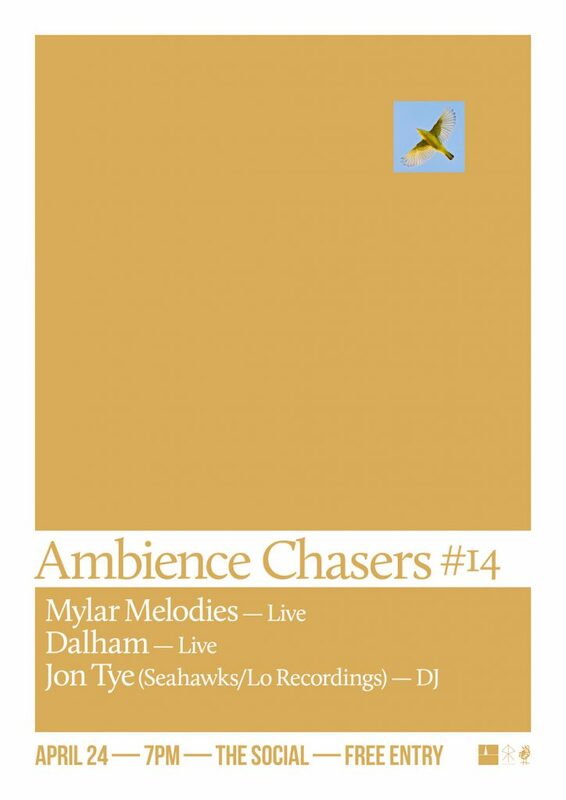 There’s another bumper line-up for the next Ambience Chasers night at The Social. The 14th outing for the monthly club night takes place on Tuesday, April 24 will feature live sets from modular man Mylar Melodies, who most recently has been playing synths with The Early Years, and the first ever live performance from Dalham. Our co-host Ulrich Schnauss is off Tangerine Dreaming at the Union Chapel (decent excuse, to be fair), so special guest DJ Jon Tye (of Seahawks and Lo Recordings) will be deputising on the decks. Free entry; doors at 7pm. See you there.